The visuals are still sparse and abstract, but it adds a sense of being present for it all. That sensation comes through whether you're looking at the trough behind you or seeing the fragments of your dead bug scatter all around you. It’s definitely not worth buying the hardware for on its own – and I can’t enthusiastically recommend Thumper regardless – but it’s worth experiencing for a while at least. 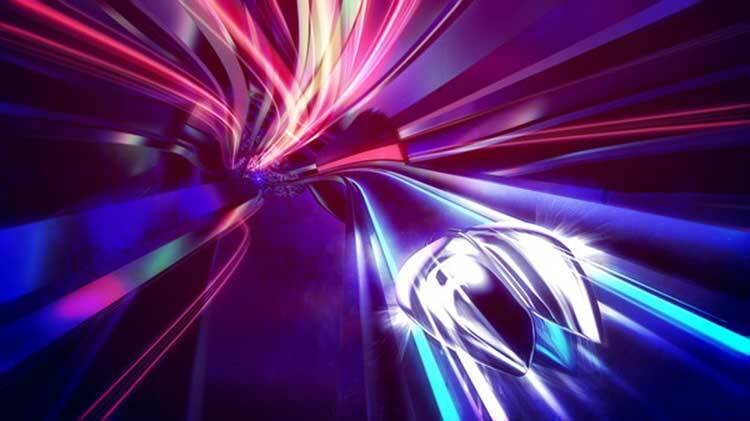 Thumper is a one-of-a-kind gaming experience. It is at first immediately familiar as an entry in the now classic rhythm game genre, but enhances virtually every aspect of the experience through brightly pulsing visuals, intense music, and nothing short of violent, visceral rhythm-based gameplay. 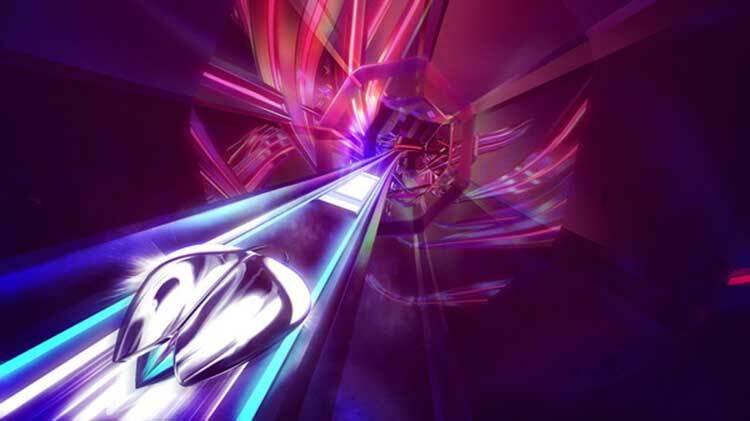 While you can play Thumper entirely outside of VR, the experience truly shines and envelops you the most once you place a VR headset on your face. As much as I like Thumper -- for its originality, for its foreboding mood, for its exceptional art direction and tight controls -- it is not without faults. 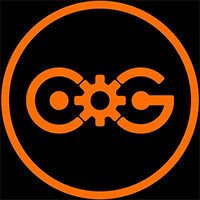 That such a small team was able to come up with this concept is impressive. I can't stress that enough, and I'm happy to see it isn't going overlooked. Thumper is easily the best game I have played on Playstation VR. It’s fresh, exciting and leaves you wanting more. It’s amazing to think that this title was created by a two-man development team of ex-Harmonix employees. If there’s one game you should show off you to your friends when they come over, it’s definitely Thumper. 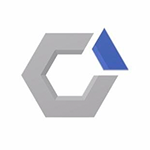 The solid checkpoint system makes it easy to retry failed areas over and over again. Levels can feel a bit long winded, but regardless, every time I played Thumper I was both smiling and intensely focused, never wanting to give up trying again when failing. The sign of a great game for me personally. Simply put, Thumper is electrifying, and very, very close to being the perfect harmony of inspired visuals and fist-pumping audio. Its ability to dazzle and awe with its wondrous visuals is matched only by its ability to hook you in for a relentless, downright intoxicating ride. With an incredible level of quality paired with a reasonable price of admission, this should absolutely be one of the first titles that anyone interested in making the most out of their new PlayStation VR headset buys. With blistering speed and intensity to go along with some easy to learn, difficult to master gameplay mechanics, the future of rhythm games – and, by extension, virtual reality – is bright. 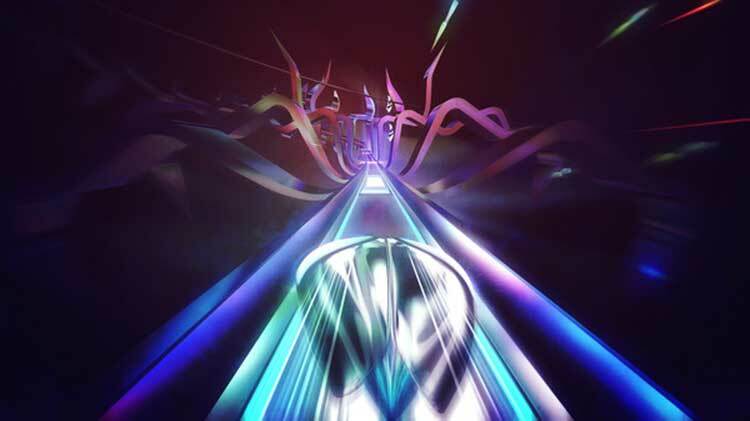 Thumper thrives due to the way it marries speed, simple controls, and mesmerizing atmosphere. It's far more convincing in VR, where you're enveloped in the game's space and free of distractions from the outside world, but it shouldn't be ignored by those without the appropriate hardware. 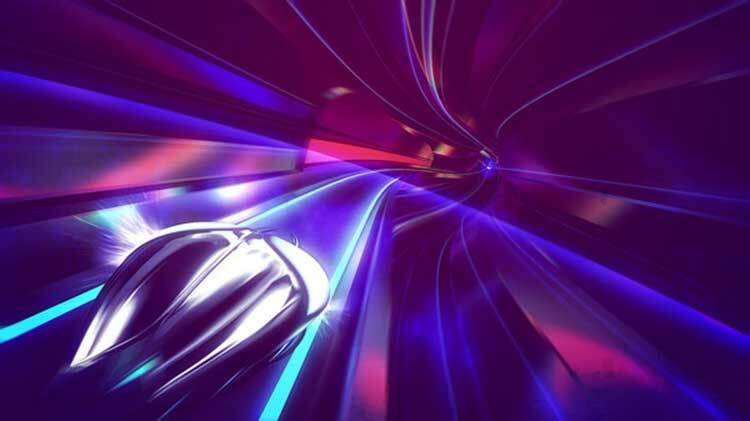 Thumper, no matter how you play it, is too good to miss. The sound is fantastic but you never really feel enveloped by the music, which I was hoping for in a rhythm game. Also, the game never changes, it just gets much, much faster. In VR, it can get a little disorienting, and that definitely limits play time. Still, Thumper will leave an impression on everyone who tries it, good or bad. It does what it tries to do extremely well, and nothing more. And that, honestly, isn’t a bad thing. We’re in two minds as to whether Thumper counts as our favourite rhythm action game ever, but it’s so different to Ouendan and Gitaroo Man that such comparisons are largely meaningless. But it’s definitely one of the best new games of this year, and further proof of how effective virtual reality can be in enhancing an already great game. It revels in complex timings and tricky off-beat hits in later stages, more abstract and misleading beats sometimes pushing it closer to memory test than rhythmic challenge, which can be frustrating as passages get pretty long later on. But when it all comes together and you’re bashing, slamming and screeching out call-and-response beats, Thumper is absorbing, rewarding and utterly unique. If you’re a fan of rhythm action games, Thumper is amongst the most intense, pure, and singular experiences within the genre, and its release for the PSVR should make it utterly essential for anyone that owns Sony’s headset. Si eres capaz de obviar algunos problemas con el ritmo que provocan sus tonos musicales agresivos y sus curvas de poca visibilidad, tienes uno de los mejores juegos del género que han salido en los últimos. 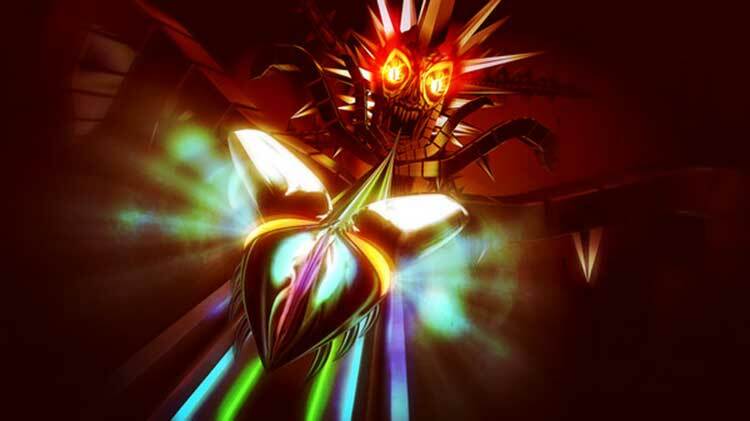 Thumper es velocidad agresiva y mucho mejor en realidad virtual. Thumper remezcla los infinite runner con mecánicas de ritmo y una ambientación atípica para crear algo único, que brilla especialmente fuerte gracias a PlayStation VR. Otro título a tener en cuenta, si piensas en hacerte con el visor. 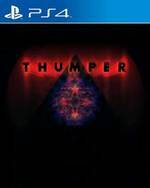 Thumper demuestra que todavía hay margen para dar un pequeño giro a ese género que se hizo tan popular hace un lustro. No es el enésimo juego de ritmo musical, carreras o infinite runner; tiene un poco de ellos y lo adapta con su propia personalidad. Los puntos débiles son la falta de más modos y trampas que amplíen el número de mecánicas. Thumper es una bendita sorpresa para los poseedores o no de un dispositivo de Realidad Virtual. A pesar de su control con un stick y un botón, la cantidad de acciones por segundo que tendremos que desarrollar será enorme, por lo que nos obligará a estar con los cinco sentidos alerta (sobre todo la combinación de vista y oído). Die optionale VR-Variante scheitert allerdings nur denkbar knapp. Denn in einem Startlineup für PlayStation VR, das sich zwar als solide präsentiert, aber nach meinem Empfinden nicht mit herausragenden Titeln gesegnet ist, gehört die ungewöhnliche Rhythmus-Action zu den Titeln, die für mich die Anschaffung der Hardware lohnenswert gemacht hat. Thumper parvient à procurer des sensations assez affolantes et, en dépit d'une prise en mains des plus simples, se montre très vite exigeant avec un tempo qui accélère grandement et des mécaniques qui ne cessent d'évoluer pour vous punir plus vite... Un bobsleigh musical - tout en percussions façon Tambours du Bronx - fascinant, qui aurait gagné à proposer un peu de diversité pour les yeux et les oreilles, et qui se se montre un peu trop rapidement intraitable avec les joueurs les moins assidus. Malgré tout, le titre de Drool n’est jamais cruel et offre au joueur une courbe de progression nivelée, jamais frustrante qui donne toujours envie d’aller plus loin. L’expérience est encore plus transcendante avec le PlayStation VR où pénétrer dans ce tunnel ne vous permettra pas d’en sortir indemne. Car jouer à Thumper, c’est garder en soi un souvenir impérissable, indélébile même, capable de nous hanter pendant de longues années. Insomma, un trip audiovisivo senza pari in un universo sinistro, che grazie a PlayStation VR può trasformarsi in un'esperienza ancora più totalizzante, neurale e memorabile: il classico istantaneo è servito, se non è GOTY siamo assolutamente da quelle parti. Toch bleef (en blijf) ik terugkomen voor meer Thumper. De simpele, maar effectieve gameplay en drukkende sfeer creëren samen een verslavende spelervaring die je bijblijft, ook lang nadat je het spel af hebt gesloten. Het spel eist wel wat lang je concentratie en is daardoor vrij vermoeiend - zeker met een VR bril op. Desondanks is Thumper zeker het spelen waard - en des te meer in VR.